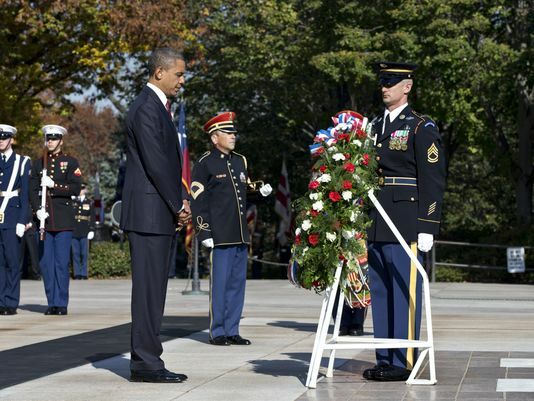 President Barack Obama spends Veterans Day on Monday honoring those who sacrificed for the nation. In the early morning, Barack Obama hosts a White House breakfast for invited veterans and their families. Later, the president travels to Arlington National Cemetery for the traditional wreath laying ceremony.